Working with intuition is a bit like working with sand; it’s hard to grasp and easily slips though the fingers. So don’t make your intuition any harder to grasp by letting blocks get in your way. When I talk to people about intuition I usually get a lot of the same questions, such as do you have to be born with it? What if I’ve never had any intuitive experiences at all? Can I still learn? Are there things I may be doing that might be inhibiting my intuition? And what can I do about that? First let me address the questions I hear with regularity. We’re all born with the equipment to be intuitive. As a matter of fact we’re constantly receiving information this way. If you’ve ever known who was on the phone before answering it you received information intuitively. You’ve had lots of intuitive experiences. Remember the time you were thinking about your grandmother and you went to the mailbox and she’d sent you a card? Or the time you had an inexplicable desire to go across town to the other drug store and ran into a school chum who just happened to be moving south and getting rid of his brand new snow-blower just when you’d decided it was time to buy one? And yes you can learn. All that’s required is your intention to learn and lots of regular practice. 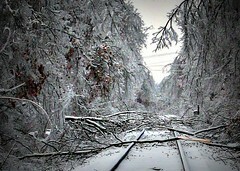 But there are a few pitfalls I’d like to warn you about first. When we’re agitated we’ve put to much pressure on ourselves to be clear. We’re almost at the point of being desperate about getting an answer. When the stakes are too high it’s unlikely that we’ll hear our intuitive voice clearly if at all. The answer to this is to let go. You’ve got to get to place inside where you’re neutral – then the answers will come. If we have to solve a problem NOW we’re also unlikely to hear our intuitive voice. Intuition works best in the environment of a relaxed mind. If you’re under a deadline or just want to put an end to some situation by dealing with it quickly the best thing you can do is take a walk. Engaging with nature calms the mind and creates the environment where the answer can surface. If you believe you’re not intuitive, or that it won’t work for you, or that it can’t possibly give you the answer to this problem – you’re right – it won’t. You have to deal with your true beliefs about intuition before they sabotage your efforts at developing and using intuition. There’s an old saying in Feng Shui, “If your feet hurt – clean out the basement.” A messy cluttered space weighs on your mind in the same way “hurting” your chances of having an intuitive flash. A space that needs cleaning out and organizing will distract you and pepper you with guilt about ignoring the mess. Deal with the clutter in your space and you’ll also remove the mental clutter that can block your intuition. When we are continually rushing, or have too many things to do at one time our minds aren’t at rest. Our to-do list is front and center at all times creating so much mind-traffic that our intuition has few opportunities to get our attention. The best medicine for stress is meditation. Learn to relax through meditating and you’ll be blessed with intuition, a more satisfying life and better health. Reading articles and books is fine but the real way to become more intuitive is to practice. The best athletes are the best because they practice more than anyone else. The same goes for intuition. If you want to be really good at something you’ll make the time to practice. Many people have those “V-8” moments where they hit themselves in the head in disgust and say, “I knew that! Why didn’t I listen?” when they’ve heard their intuition but chosen to ignore it. The more you ignore your intuition the less it will surface. When you ignore your intuition what you’re saying is, “These thoughts are not important to me so I don’t need to be made aware of them any longer.” Pay attention and take action on your intuitive hunches and you’ll turn up the volume of your intuitive voice. When you don’t trust your intuition what’s really happening is that you don’t trust yourself. The only way to get over this is to develop the confidence in yourself and your intuition by starting small and taking a few risks with your intuition and having a few successes. The more successes you have the easier it will become to trust your intuition. Intuition comes to us as a complete idea. It’s not linear like thinking is. These complete ideas are also very clear and devoid of emotion. They feel rather “neutral.” While thoughts that emanate from the ego are concerned with being right, or not getting hurt, or have some element of fear tied to them. The next time you’re unsure ask yourself how you’d deal with the situation if you were completely unafraid of failing? That usually identifies the intuitive solution, and tells you if your ego was trying to pose as your intuition. Becoming aware of what can trip you up is just as important as learning how to tune into your intuition. The next time you’re finding it difficult to hear your intuitive voice go through this list to see what the problem might be. Have you ever experienced any of these problems when accessing your intuition? Were you able to overcome them? Has knowing about the blocks helped you to develop your intuition? P.S. I don’t like to let anyone leave my “house” empty handed. 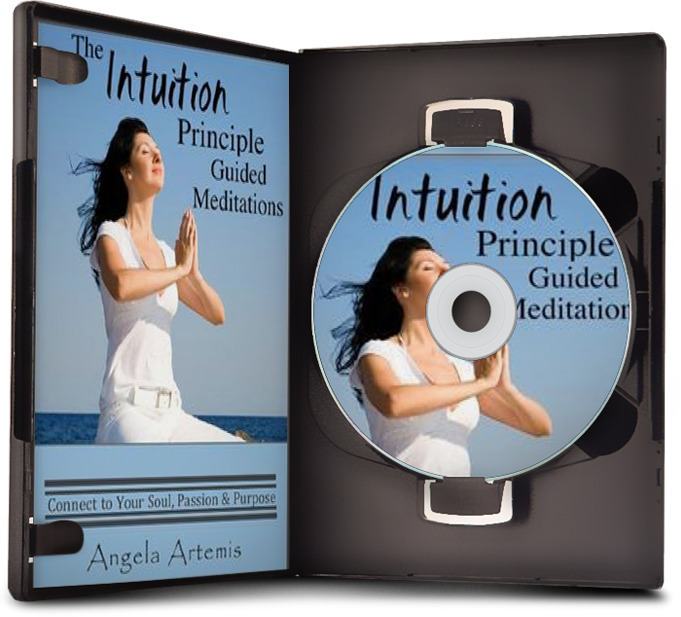 Please take your free gift – my ebook, The Intuition Primer, with you when you go! I am totally fascinated by intuition!! What stood out for me from your post, which I enjoyed a lot and especially because of its simplicity, was; ‘thoughts that emanate from the ego are concerned with being right, or not getting hurt, or have some element of fear tied to them’. What a journey learning about the intuition is…..thank you for your imput into that journey. I’m so happy that you found this article helpful and informative. We all want to make intuition so complex when in actuality it’s quite simple. It’s the “Aaah, I’m home feeling you get,” when something is right. When the thinking mind inserts itself we get mixed up and tripped up! Thank you so much for coming by and sharing your comments with us. I Liked it. Cool. Keep it up. That is a great list of information, thanks for sharing. I know personally I have a few things on that list I need to address, the biggest one taking time to practice. I’m glad you found this information useful. Let me know if you have any other questions – anytime. It’s a pleasure meeting you. Thank you so much for coming by and leaving your comment. I’ve been faced with all of these blocks too. We’re only human – that’s for sure. I agree – nobody stops us from lighting up as you say – but ourselves. “…complete ideas are also very clear and devoid of emotion. They feel rather “neutral.” While thoughts that emanate from the ego are concerned with being right, or not getting hurt, or have some element of fear tied to them.” Fear is a real indication for me that the ego is up to mischief! Thanks for a beautifully written, clarifying post as always Angela. I’m so glad you got a lot out of this post. I’ve experienced all these blocks and thought it would be helpful to others to explain how they work. Fear is a huge stumbling block in intuition. Thank you for visiting and commenting and your lovely compliment too. I have had first hand knowledge this week about having your head blocked by another person. Yet, this morning, very early, I followed by intuition and wrote a wonderful letter that hopefully took a little care of the problem. The trust part is so important. Thanks for another great post. I love your posts about intuition!! I’m so glad you listened to your intuition and wrote that letter. It’s so important to act on our intuition. Every time we do it’s like building a muscle – it gets stronger and louder. I’m so glad you love my posts on intuition because I love writing them – it is my passion and the single interest I’ve had since childhood. I’ve found time and time again that I have to trust that gut feeling. Whenever something has felt “off” about a person or a situation, I’ve eventually found out that my intuition was right. And yet it’s still so hard to say sometimes that you just have a feeling about something, because we are so conditioned to look for logic and facts. It’s such a pleasure to welcome you to my site. I hear you loud and clear! Yes we are so conditioned to look for logic and facts and that’s why our society is so out of balance and so are we. We need to learn to use both logic and intuition equally – when we do we’ll see a huge shift in our society. I have practically experienced every problem out there concerning developing intuition LOL! One of my biggest blocks has been not having enough trust. However, what I can discover through intuition never ceases to amaze me! I hope to continue to work on increasing trust. I’ve encountered every one of these too which is why I created this list. Trust is such a big one – for me too! I think it’s natural especially for us ex-bankers to want logical hard proof though. It takes some time to over come our prior conditioning – but I have no doubt we’ll get there my friend! This is my first time visiting your blog, but your name has been on my mind for some time so I decided to pay you a visit! All of the blocks you mention has applied to me. Some still do. It’s a maturing process, I feel. Step by step. I also feel the need to stress that there’s no rush. It’s easy to be impatient and expect miracle – results, but what exactly ARE miracle – results? Well, that’s not up to me to define. My advice is: Work with the blocks. Don’t sweep them under the rug! Oh, and don’t be afraid of the ego either. Our ego(s) may be and do many things, but sweeping it under the rug isn’t the solution either. Now, I was supposed to write one more tip… but it escaped my mind! All that’s left is to wish you all a wonderful day! It is delightful to meet you! I love all your tips to. Yes, by all means don’t ignore the blocks, or be afraid of the ego. We need a healthy ego to survive in this world for sure! Work with the blocks to over come them and learn to tell the difference between the voice of your rational mind/ego and intuition. Thanks so much for visiting here today! I agree with what you say about meditation. Going out and “getting into nature” is a way to quiet the mind and let those intuitive thoughts in. Yes, meditation is the best tool for so many things in life. Getting out in nature is terrific too. So nice to have you visit again Carolee. Just love you opening words and how true those 9 blocks are- I recognize everyone of them. So when we embrace each one the intuition will like second nature. I’d love to see Prescription 4~! Send it to my gmail! I’m glad you’re enjoying the prescription and that it’s working so well for you. The clear large space sounds good – now to get rid of the clutter. LOL! Great lead in to this post Angela with the link to sand – loved that. EVERYTHING you say about losing touch with intuition is spot on for me especially not putting in time to practice. In the modern world people want instant results so if it doesn’t work overnight they lose interest. Intuition needs more respect, after all it’s probably been ignored for decades so give it a fair chance to show itself in your life. I would also add to keep a diary of your intuitive experiences to chart what’s happening when and how. Over time it becomes highly valuable to noting the way intuition works and shows up. I’d have this one as one of my favourite post of yours Angela – a 100% spot on life affirming classic! I’m so glad you liked the lead here. It just felt right when I wrote it. You’re so right. We do want instant results don’t we? No one wants to put in the time anymore to really work at anything. Keeping a diary of your results is a great way to learn how your intuition comes through for you. I sure missed your intuition insights while I was on blog break! We (many of us) are living such a hurried and stressed life, that we are not listening to our own gut feeling. Today I ignored my own gut feeling because someone has said something different and I followed the wrong road, and got lost. Just right article for me to read today. I’m happy to see you are back! I’m also glad this post was helpful to you today. Listen to your gut – it will steer you right. In a nutshell, I was expecting intuition to be different than it is. It wasn’t until I was pretty far along with learning about it and practicing lots of different modalities that it hit me one day that it was here like a lion all along, but I just didn’t recognize it! I think a lot of us are that way. Actually, I know we are! How are you? It’s so nice to see you! 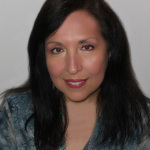 Congrats on the wonderful interview with Kara on being an Empath! You know I think we all go through the same things re: intuition. We think it’s going to practically announce itself when all the while we’ve getting promptings in the form of those quiet little whispers that we ignored thinking: That can’t possibly be it? I was the same way and it took me years to acknowledge this very subtle form of communication from my intuition. I guess it’s all part of the learning process we go through though. I’m so glad you’ve seen so much progress over the last year. I wish I had a gold star to give you! LOL! So many people think that they’re not intuitive but really it probably has more to do with these blocks than anything else. Getting uptight is so easy in our fast paced world. I bet it’s one of the most common blocks. These are really helpful tips. I’ve never thought to separate intuition from ego by recognizing if the idea or thought is neutral. Or by noticing whether there is fear attached. I’m excited to read your free e-book! P.S. I finally got the schedule for the Sahaja meditation in my area. I’m trying to get up the courage to try one of the classes! Separating thoughts that come from ego vs. intuitive hunches is one of the biggest blocks to intuition. If you can get that one down you’ll be ahead of most people. RE: Sahaja Yoga. That’s great. You’ll love it – no courage necessary. Just do it! Let me know what happens. I love that I can come over here and learn about intuition! I have experienced many little things but since I’ve been practicing Reiki, my intuition is picking up a lot, particularly when I am in my healing room giving a treatment. I find the hardest block for me to overcome is to hear those “still whispers”! I’ll catch them in retrospect LOL, but not always on time to respond to them! Today, for instance, I was supposed to meet a friend in town to pick up some books. There is no logical reason why I should not go, but it’s not feeling “right” to me for some reason. I feel either I should not go or I should be here, and I’m not sure why. But I’m listening to the feeling. I’m staying put! Sometimes we don’t get the affirmation that following the feeling was a good thing to do – too bad – a little affirmation would help, don’t you think! 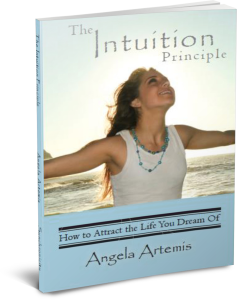 I’m so glad you find the articles here helpful to learning about intuition. It’s my desire and belief to share what I’ve learned about intuition with as many people as possible. I’m glad you’re honoring your intuition today regarding meeting your friend. Let me know how your day goes. Perhaps you’re supposed to be home because there will be a phone call or someone at your door that you would have missed had you been out? Don’t automatically think the worst when you have hunch you should stay put. Really wonderful wisdom, Angela. I’ve noticed the paradox of trying to rush through and solve a problem NOW instead of stopping, calming and reflecting. Inevitably a hasty decision makes a mountain out of a mole hill and exacerbates the problem. The universe is always testing us with pop quizzes that bait us to respond from howling voices of “woe” and “no.” Clearing my mind and trusting in infinite intelligence allows me to float up over the chatter and arrive at the right and perfect solution. I always agree with your analysis 100 percent Rob! As the old saying goes, “Haste makes waste!” Being calm and approaching everything we do in life from a centered perspective always pays off whether we’re dealing with making decisions or even something as regular as grocery shopping. Yes, for sure we can be in the world but of it when we are open to guidance from Infinite Intelligence and float over the bumps in the road that seem to catch most people! Oh, I can say that I’ve experienced all the problems you’ve mentioned. It was not until I took 2nd Reiki attunement that I begun to really hear my intuition all the time. I think removing negative patterns from our memory, like that belief issue, is also important. Your perception of the world can be messed up by your beliefs, knowledge and experiences. The trick is to return to beginner’s mind, just like Zen practice teaches us. Then, you open yourself for more intuitive thoughts. Reiki is wonderful for opening up your intuition. I’m sure the attunements cleared out a lot of stuff. Negative beliefs can sabotage our intuitive work big time, and definitely color our perception of the world – I totally agree with you. I can see how returning to the beginner’s mind makes a lot of sense. You start with a blank slate. Great idea! Thank you so much for sharing it here with us Nathan. 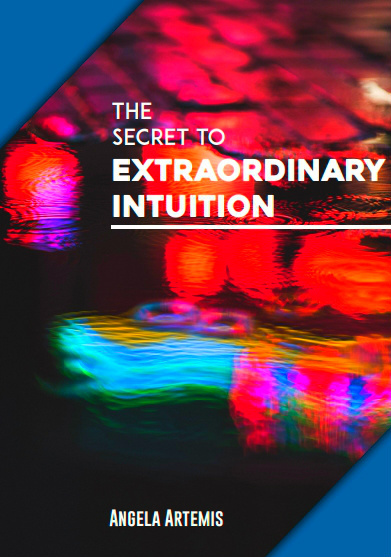 Great article on dealing with the 9 biggest blocks to intuition! Many people rely solely on logic when it comes to making choices. As a result, they might not make the best choices because logic can only take us so far. Knowing how to get past these blocks to intuition will help us to make better choices by enabling us to blend logic with intuition. I agree with your points here on impatience and agitation. From personal experience I have found that I am better able to access my intuition when I am calm and composed. When emotions cloud my judgment, I am barely aware of my surroundings, let alone my intuition. The best way for me to achieve that calm is nourish my mind constantly with the right books and to have a divination space and practice where I can easily slip into the right mode and access my intuition. Practice is also essential to using our intuition. None of us start out good at anything. We have to put in the effort and practice constantly until we become good at it. When I first did my divinations, I usually got it wrong. But by living and breathing divination, soon the answers became clearer to me. In essence, I divine and access my intuition regularly. And so, my skill today is not because of some miraculous talent but simple and consistent practice. I’m so glad you got a lot out of this article. We need to use both the logical mind and our intuition when making decisions, but learning to discern between the two is very helpful because many time our rational mind is really the ego speaking. Our ego tends to provide answers from a place of fear and that is never the right answer. Practice is so important! I’ve been practicing for 40 years now and I always think I’m not good enough yet and continue to practice! Thanks so much for visiting and sharing your insightful comments here.